Originally from the East Midlands, I went into teaching and was fortunate to work for many years as a primary school teacher and headteacher, then as a schools adviser and Director of Education in the Church of England in Bradford, Leeds and North Yorkshire. Ordained in 2004 after training in the Oxford Diocese, I left my role in education in December 2013 to work in parish ministry in the wonderful Yorkshire villages of Bardsey and East Keswick before moving to the team here in March 2017. I am married to Andrea with two grown up children, Felicity and Peter. I retired from parish ministry in the Shaftesbury Team and moved to Axminster in 2013. I chose Axminster so that I would be nearer my sons, my siblings and the sea. What a good move. So here I am. I have been a wife and am now a widow. I have three children and six grandchildren. I have a lifetime of nursing experience, mostly in elderly care and on the District, and at last answered a long-held call to ministry with ordination in 2000. I bring all that past life experience, good and sometimes not so good, into the present, and look forward to whatever lies ahead, with my God-given Maryness and energy. 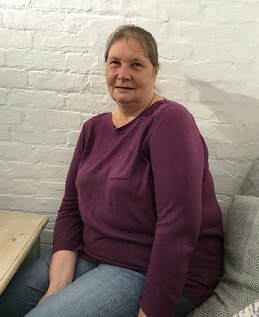 Cate was born in Plymouth but has spent much of her life in different parts of the country, returning to the West Country for full-time ministry in 1999. 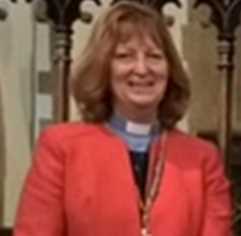 She was ordained in 1995 whilst a teacher in Hampshire, during that time she has been a Chaplain, Parish Priest, Rural Dean member of the Diocesan Education Team and Prebendary (Honary Canon) of Exeter Cathedral. Now semi–retired she lives in Lyme Regis with husband Paul and their 2 dogs. They have 2 grown up children. Hello, I’m Tracey and in 2017 I started training for ordination. I have lived with my parents, then husband and children, in the Axe Valley all my life. I am passionate about enabling people to meet God where they are, not just in church. So if you see me around the Mission Community, or in Church do come and say hello. I retired in 2007 after 35 years in a successful opticians’ partnership in West Wiltshire. We moved to All Saints in 2008. Since coming to East Devon I have trained as a Reader and was licensed in 2013. I am a member of All Saints PCC and also serve as a Parish Councillor on All Saints Parish Council. I enjoy working in our large garden and am a keen railway modeller. I'm Susan to my mother, Su to the rest of the world. Born in Birmingham, raised as an Essex girl, moving to Andover during my teens. I am a registered nurse, still working, and have moved around the country for jobs and family. I have a son,and three grandchildren. I have lived in Axminster for 20 years. I qualified as a Reader in 2004, and thoroughly enjoy my role in the Mission Community assisting with church life, and pastoral care.